Big Data & Data Science Blog: Artificial Intelligence vs Cognitive Computing: What's the difference? 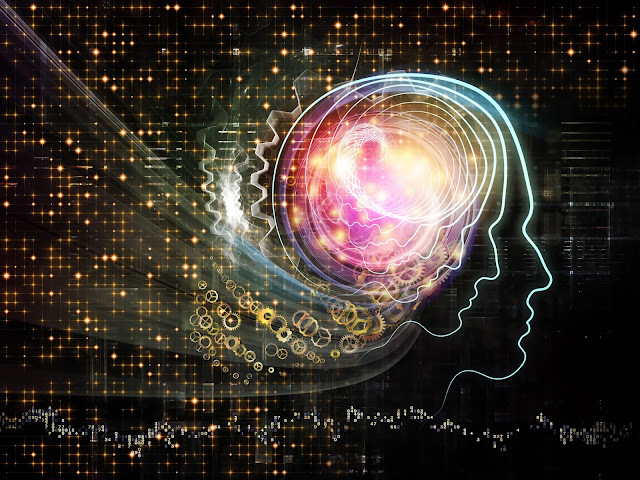 Artificial Intelligence vs Cognitive Computing: What's the difference? The media hype around Artificial Intelligence (AI) and Cognitive Computing is unquestionable at the moment. They seem to appear everywhere on the Internet in the press, blogs, conferences and events and many companies and startups are now moving towards offering AI or Cognitive solutions. Google shows 44m hits on AI and 9m on Cognitive Computing and the figure below from Google Trends clearly shows that the search term "Artificial Intelligence" is more popular than "Cognitive Computing", however, I'm sure we'll start to see that gap close in 2017. Figure 1: AI vs Cognitive Computing. In our white paper "Surviving in the AI hype", we explained some of the fundamental concepts behind AI, as well as touching on Cognitive Science and Computing but in this post we want to focus in more detail on the relationship between AI and Cognitive Computing specifically. Figure 2: Google Trends for Artificial Intelligence (red) and Cognitive Computing (blue). To start off, what do Intelligence and Cognition mean if we search for a definition online? Intelligence: "the ability to learn or understand or to deal with new or trying situations : reason; also : the skilled use of reason (2) : the ability to apply knowledge to manipulate one's environment or to think abstractly as measured by objective criteria (as tests)." Cognition: "the mental action or process of acquiring knowledge and understanding through thought, experience, and the senses." "AI can have two purposes. One is to use the power of computers to augment human thinking, just as we use motors to augment human or horse power. Robotics and expert systems are major branches of that. The other is to use a computer's artificial intelligence to understand how humans think. In a humanoid way. If you test your programs not merely by what they can accomplish, but how they accomplish it, then you're really doing cognitive science; you're using AI to understand the human mind." Stated in other words: AI is about making computers solve complex problems, that if people solved them would require intelligence - it is the result that counts. Cognitive Science is about making computers solve complex problems similar to how humans solve problems - it is the process that counts. So Cognitive Computing aims to mimic human reasoning behavior. Deep Blue is a great example to look at. In 1997, for the first time in history this IBM computer program beat the world chess champion, Gary Kasparov. The main reason why Deep Blue was able to win was pure brute force. It was capable of evaluating 200 million chess positions per second, and to look up to 20 moves ahead, something no human is able to do. So, is Deep Blue AI? Yes, because it solves a complex task, even better than the best human. Is Deep Blue Cognitive Computing? No, because the reasoning process has little to do with how humans play chess. So, what does it mean to "mimic human problem solving" or to "mimic the human brain"? Well, actually there are different levels of "mimicking". And here again we see the distinction between symbolic and non-symbolic or connectionist AI (as you can see here in our white paper). Originally, symbolic AI tried to mimic logical human problem-solving, while connectionist AI tried to mimic the brain's hardware, as Deep Learning does today. So, some symbolic AI may be cognitive computing, if it mimics human problem solving e.g. through rule-based systems. But not all (e.g. Deep Blue). Where does that leave us? Today the terms AI and Cognitive Computing are used as synonyms. We believe that whether a company calls its product AI or Cognitive Computing, it is a marketing decision. Everybody is offering AI solutions right now, and it becomes increasingly difficult to be perceived as differential. Cognitive Computing is an attractive alternative, as it alludes to the same underlying mystery (human intelligence), but the space is much less crowded. Intelligence system for business is easy for every business and saves a lot of time using it. cognitive intelligence system is so easy that everyone can adopt easily and increase knowledge to pick decision.